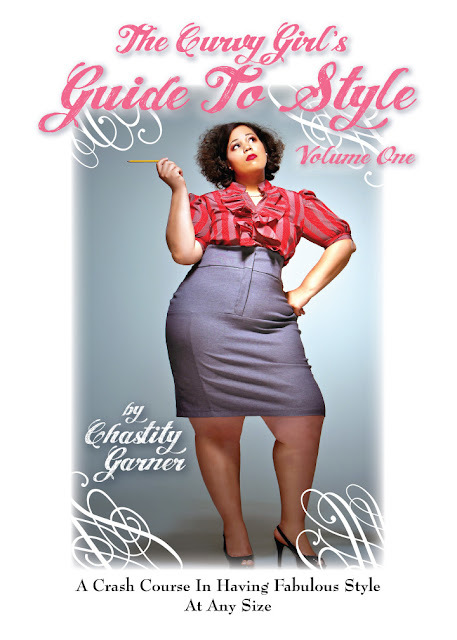 The Curvy Girl's Guide to Style Goes To Print! So I guess you might say I've been a busy girl. I can't hold water, so actually not talking about a project I've been working on for quite some time has been killer. I actually wrote an entire book based on my blog. 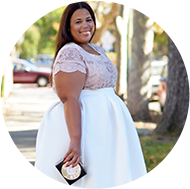 The Curvy Girl's Guide to Style Vol. 1 is a fashionista's guide to having fabulous style at any size. The book explores several areas of style that the average curvy girl struggles with. Chapters in the book include "Know Your Body", "10 Essentials for the Curvy Girl's Wardrobe" and "Girdles, Foundations, and Brassieres, Oh My!". That combined with a little humor, a dash of tough love, and a whole lot of style makes this book a curvy girl's must have. I wanted to help the curvy girl that may not know where to begin or who just needs a little inspiration to get to her individual style destination. "The Curvy Girl's Guide to Style," Vol. 1 will officially be released on May 1, 2010 and will be available to purchase online at Amazon.com, The Curvy Girl's Guide to Style (the blog) or directly from Garner Style. You can pre-order the book as of now. The book price is $15.00. I hope yall like it. I really worked hard on it to make it perfect. P.S. To all my international readers, I will ship internationally from the blog. WOW! Congrats! love the cover picture, how exciting. Wishing much success with your book! Congratulations on the new book. Well Wishes with it! I am sure it is a great find!!! Congratulations!!! Who published it for you, or was it self published? I am not nearly done with mine. Save me a copy, I will buy one if and when I get my first examiner check!!! Congrats!!!!! And I know I am going to order a book ASAP! I will order it AS SOON as it comes out! Congrats. I love curvy girls doing big things. Can't wait to read. Get it girl!!!! Congrats to you!!!!! CONGRATULATIONS!!!!! I love your blog and I will be the first in line for this book. I can't wait! Amazing! So proud of you for continuing your movement and being a voice of style :-) Congrats! Thank so much to all! I love all the warm wishes and the book orders. I am so excited! Congrats for this great achievement girl! These must be very exciting times for you. I wish you all the best with the book... off to pre-order a copy! Actually, wanted to check since I am located outside the US. Will you be offering shipping to outside of the US for the book? Or best to wait until it's available from Amazon? Thanks! @Sassy Sarah...thanks so much! I will be shipping internationally from my website. I hope amazon UK will carry it! That's so exciting - Love the cover! Congrats!! @Pyratus, no worries, Blog purchases can be shipped internationally. congrats! Sounds like a must have in every curvy girls library! Chastity! You look GORGEOUS on the cover (as you always do). I'm proud of you! You've made it so far since I first met you in middle school! Keep it up!